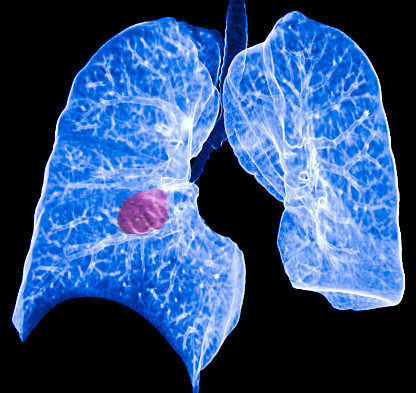 EGFR TKIs may improve disease-free survival of patients with NSCLC. Researchers conducted a meta-analysis to determine whether the use of EGFR TKIs could improve outcomes of patients undergoing complete resection by analyzing data from 1960 patients included in 5 studies. Adjuvant TKI therapy was associated with a significant improvement in disease-free survival (hazard ratio [HR], 0.63; 95% CI, 0.41-0.99), corresponding to a 3-year absolute benefit of 3.1%. It was found that patients who participated in studies with more than an 18-month median treatment duration experienced superior survival benefit. For patients with EGFR mutations, the risk of relapse after treatment completion was 52% lower with adjuvant TKI therapy, compared with those that did not receive a TKI (HR, 0.48; 95% CI, 0.36-0.65). This improvement translates to a 3-year absolute benefit of 9.5%. Adjuvant TKI therapy was associated with a reduced risk of distant metastasis (odds ratio, 0.71; 95% CI, 0.56-0.92), but only a marginally significant benefit for overall survival (HR, 0.72; 95% CI, 0.49-1.06). More than forty-two percent (95% CI, 39.1-45.6) of patients treated with an EGFR TKI in the adjuvant setting experienced grade 3 or worse adverse events. Huang Q, Li J, Sun Y, Wang R, Cheng X, Chen H. Efficacy of EGFR tyrosine kinase inhibitors in the adjuvant treatment for operable non-small cell lung cancer by a meta-analysis. Chest. 2016;149(6):1384-1392.